Here at DataSpace we are always looking at ways to help you. Whether you run a business from home or are running a medium sized enterprise, we develop services that will make your life easier. One of the latest service offerings we have is Brainloop. 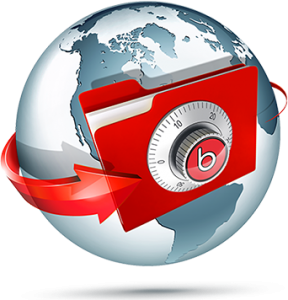 A unique way that enables you to access confidential documents from the Brainloop secure dataroom. But we are really pleased to announce that Brainloop can now be accessed on the go. So, if you are preparing for a meeting on a train, working on the sofa at home or in the lounge of an airport, you can access the secure dataroom. Well, using mobile of course. Brainloop is now available on the iPad and for smartphones. As the world heads towards a purely digital future it is vital that data access can keep up with this. The information security breaches survey 2012 has highlighted that security controls are failing to keep up with the fast paced business world. The solution to this is a mobile version of Brainloop. Allowing you to access your documents via your mobile device, whilst on the go. This means that you have a safe, secure way of accessing your confidential work documents wherever you happen to be. An access code means that only you can access these on your device. You may also need to enter a PIN which is sent via SMS to your phone. The documents you request are then saved locally and encrypted to your mobile device. It is the ideal solution for your business if you spend a lot of time out of the office. If you wish to find out more then why not contact us today? If you are already using this service then we would love to hear what you think. Why not tell us via our Facebook or Twitter?